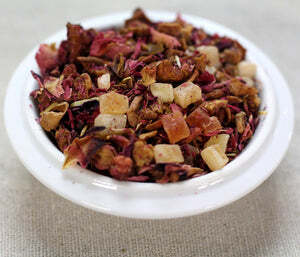 Ingredients: Apple pieces, papaya cubes (papaya, sugar), natural strawberry flavoring, rose petals, freeze-dried strawberry pieces, pink cornflower blossoms. 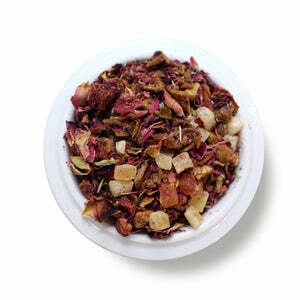 This tea is a sweet departure into candy land. PERSONALITY: bubbly, that friend that calls you to tell you about their latest Target purchase with much enthusiasm. 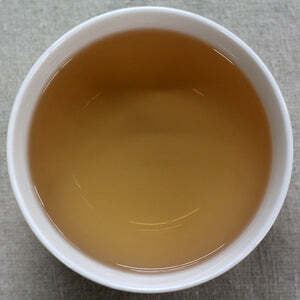 Mug (8oz water):2 level tsp • 212º • Steep for 5 min. Resteep: 1 time for 4 min. 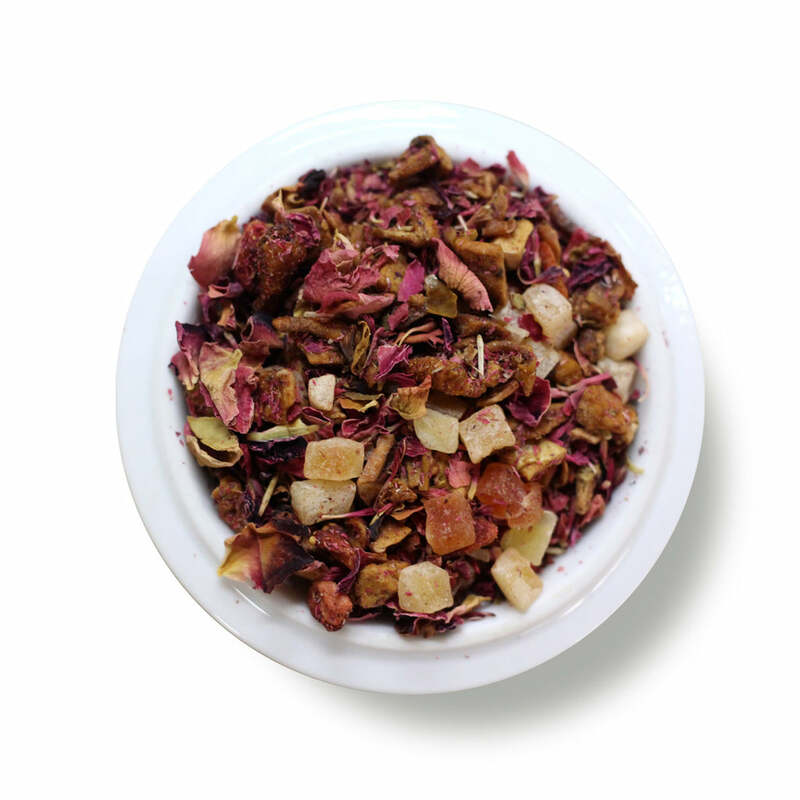 This tea has so much natural sweetness and a lovely round fruity flavor that highlights the strawberry and apple. Winner! This is pure deliciousness in a cup. It was a sweet treat without the guilt. I ordered a larger bag before I was finished with the first cup. I'm looking forward to trying this iced as well.